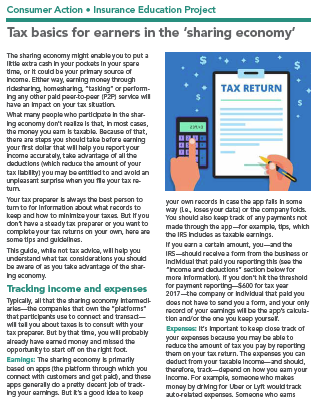 Library: English | Tax Basics for Earners in the ‘Sharing Economy’. Library: English | Get Credit for Your Hard Work (2018 Tax Year) Low-income working taxpayers may qualify for the federal EITC. 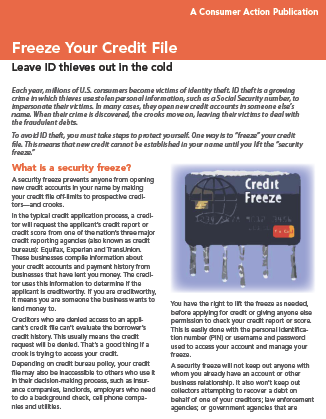 Library: English | Freeze Your Credit File Leave ID thieves out in the cold. Library: English | Security Freeze Backgrounder Questions and Answers About Placing, Lifting and Removing a Credit Report Security Freeze. 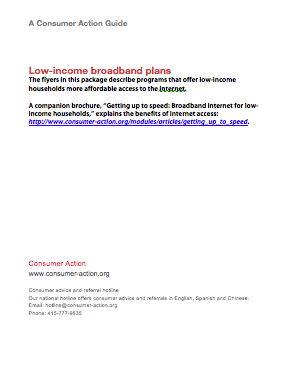 Library: English | Low-income Broadband Plans. 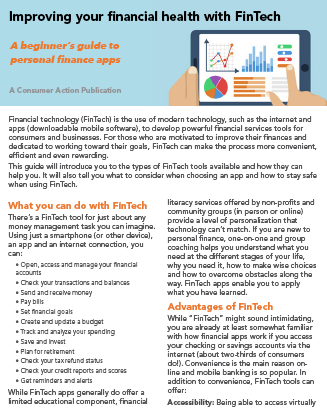 Library: English | Improving your financial health with FinTech A beginner’s guide to personal finance apps. 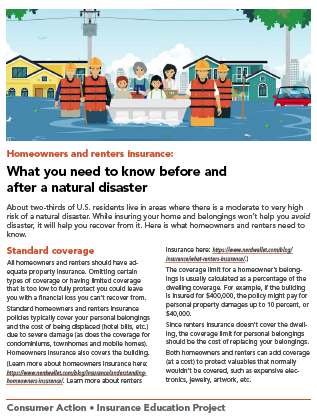 Library: English | Homeowners and renters insurance What you need to know before and after a natural disaster. 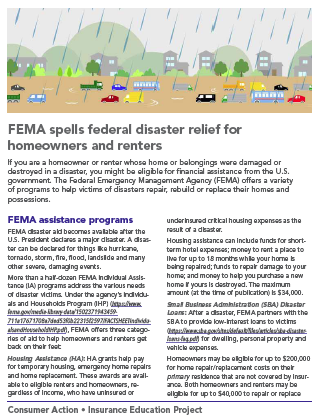 Library: English | FEMA spells federal disaster relief for homeowners and renters. 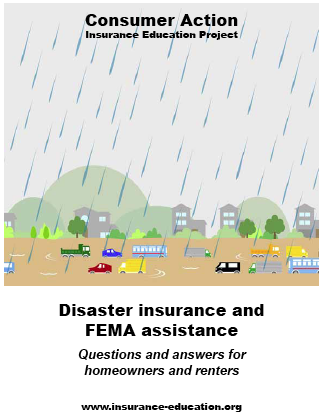 Library: English | Disaster insurance and FEMA assistance (Q&A) Questions and answers for homeowners and renters. 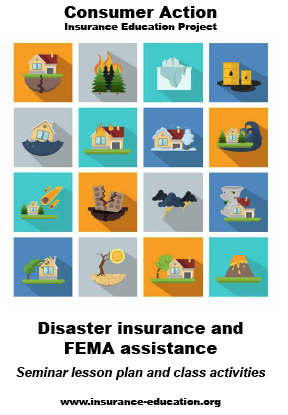 Library: English | Disaster Insurance and FEMA Assistance - Seminar Lesson Plan and Class Activities.